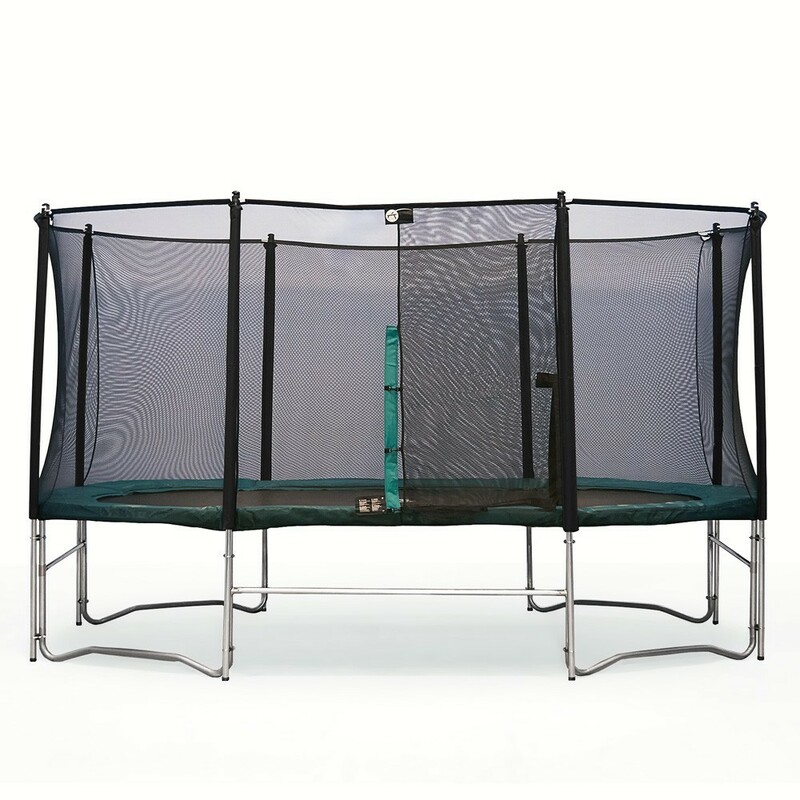 16ft Ovalie 490 trampoline trampoline with enclosure and ladder. 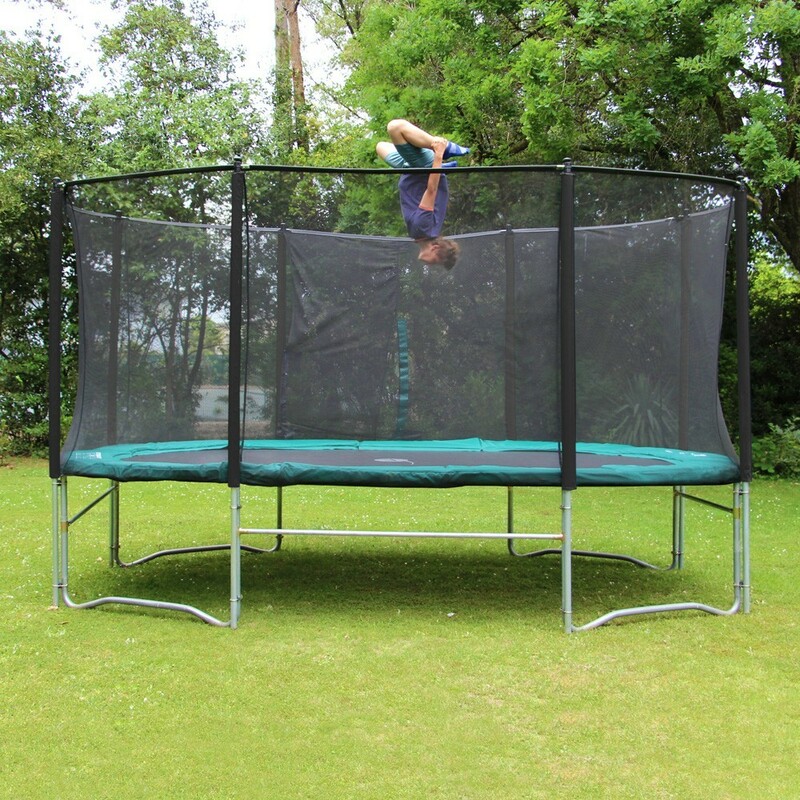 The 16ft Ovalie 490 trampoline measures 4.80 m x 2.84 m and is delivered with an enclosure allowing intensive use for teenagers and adults. 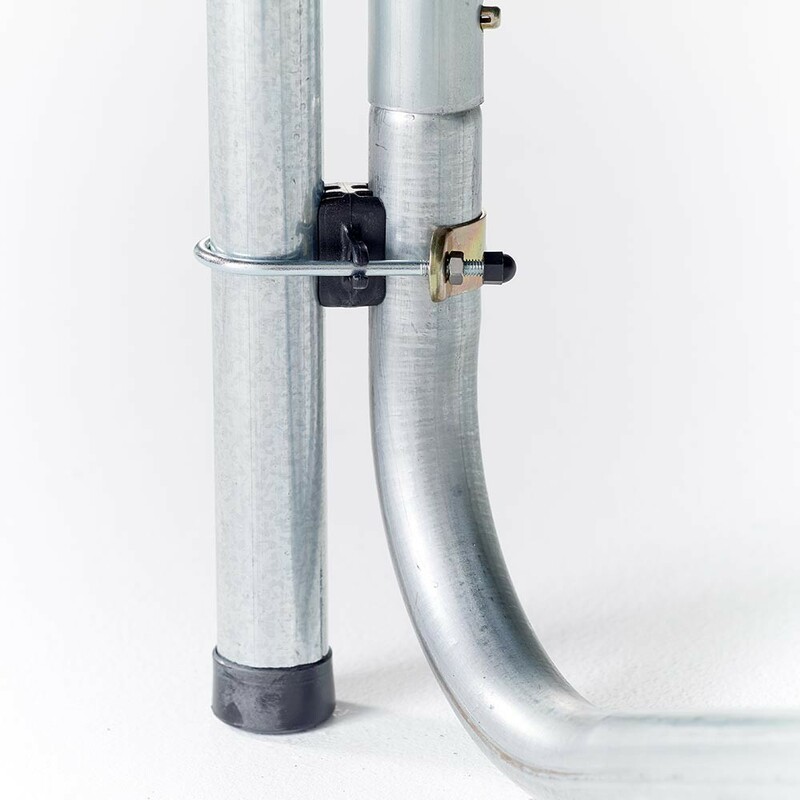 It is a strong model, perfectly suitable for long gardens. 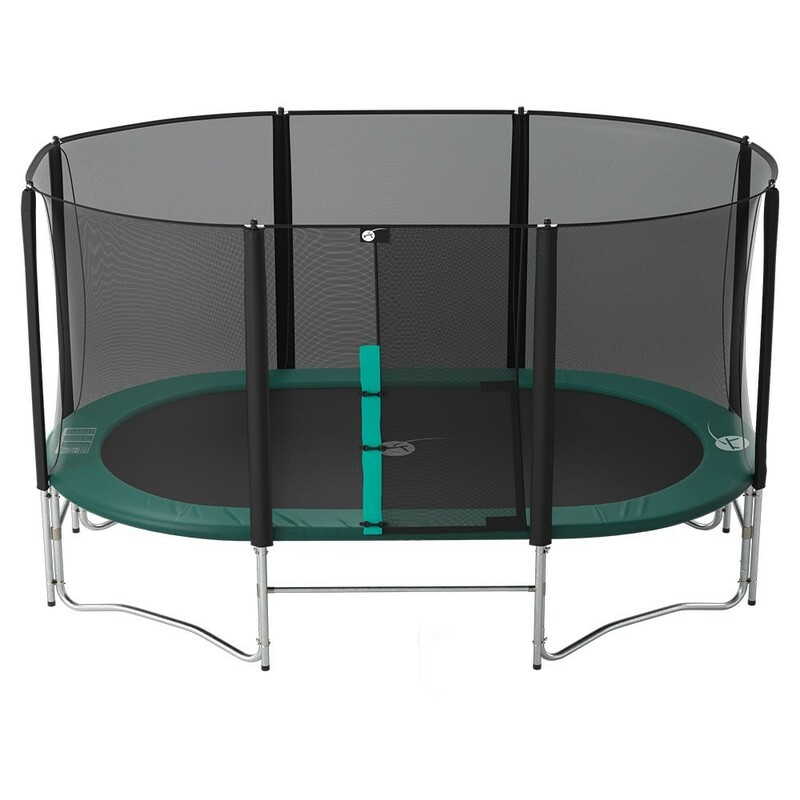 - The Ovalie 490 trampoline has 84 springs of 210 mm in length, like on the Apollo Sport 500 trampoline. 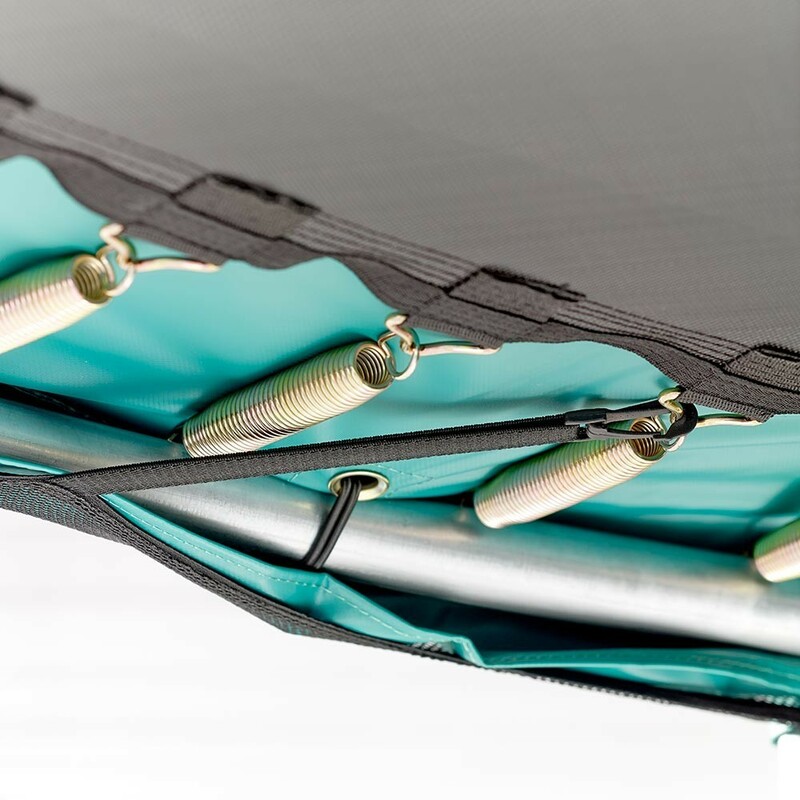 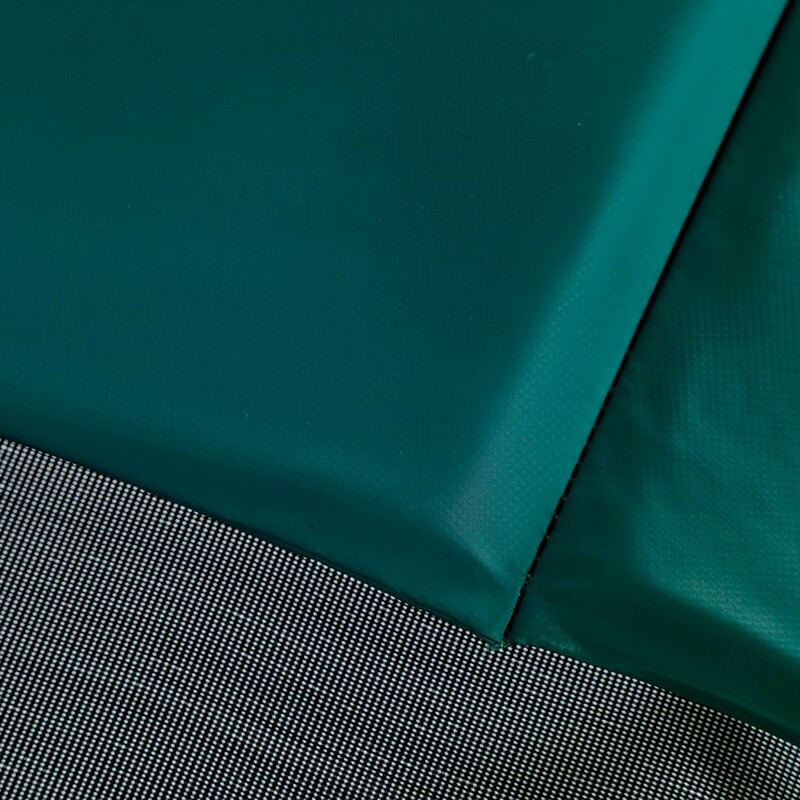 The quality of the jumping mat ensures that it will endure the tests of time: it has been reinforced using a strengthening band and 8 rows of stitching. 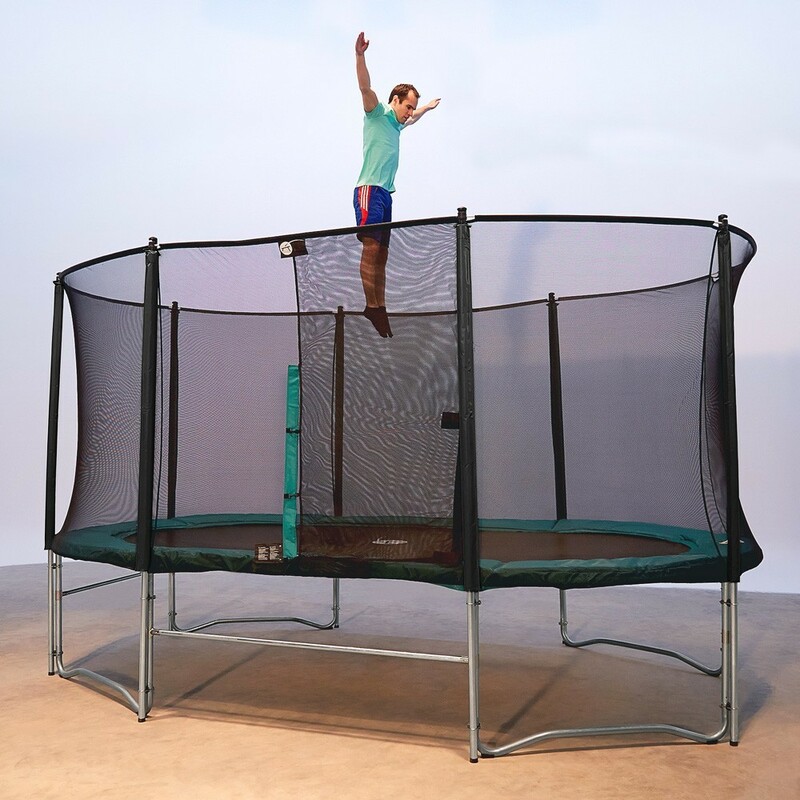 - This trampoline can withstand weights of up to 150 kg, thanks to its strong steel framework: the tubes have a 42 mm diameter and the steel is 1.5 mm thick. 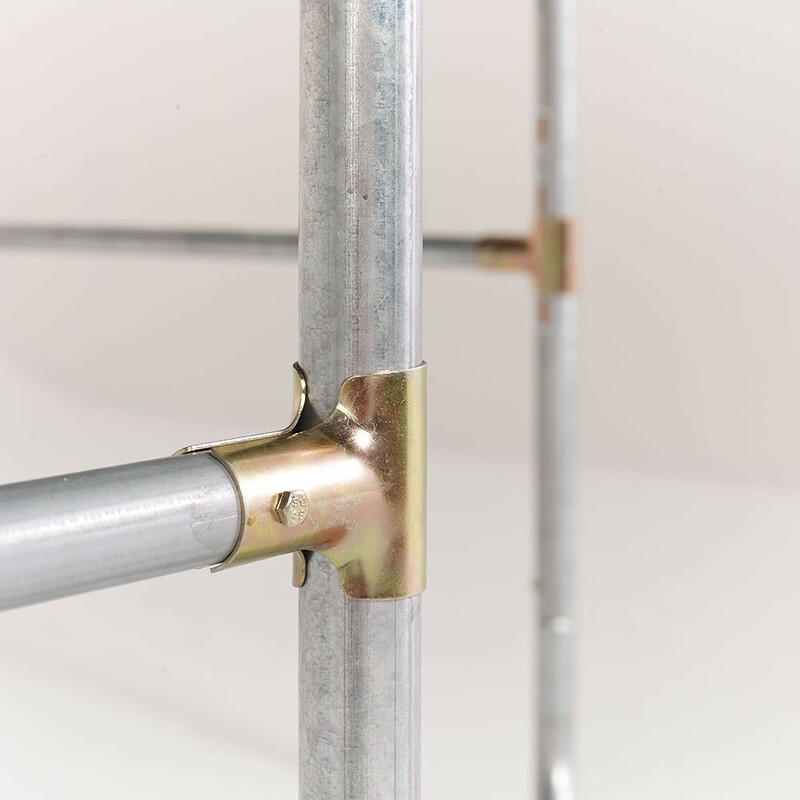 There is no welding on the structure which could weaken the steel. 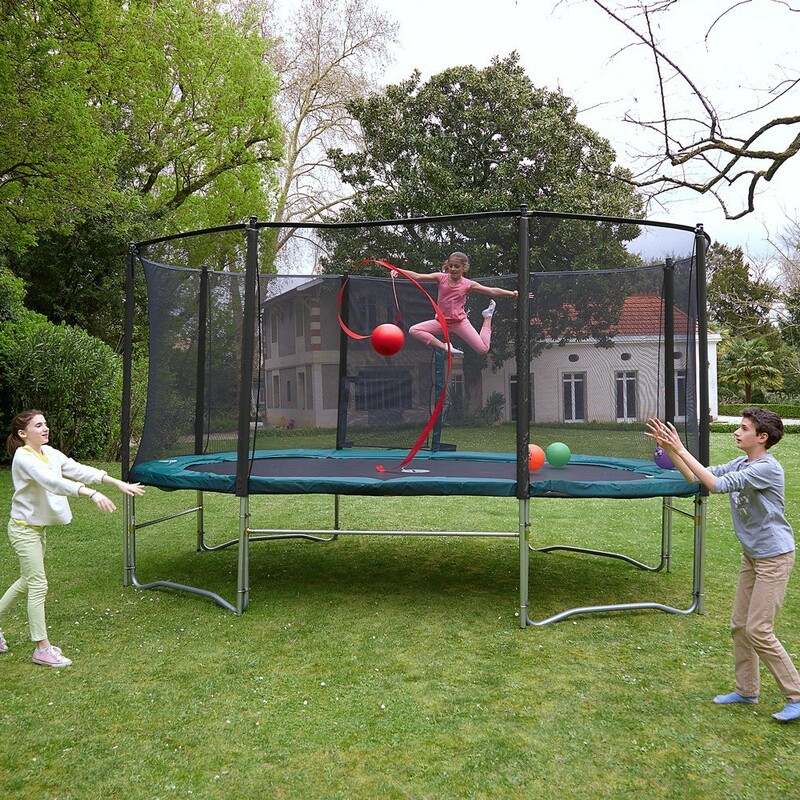 The Ovalie trampoline uses T-junction components to strengthen the framework. 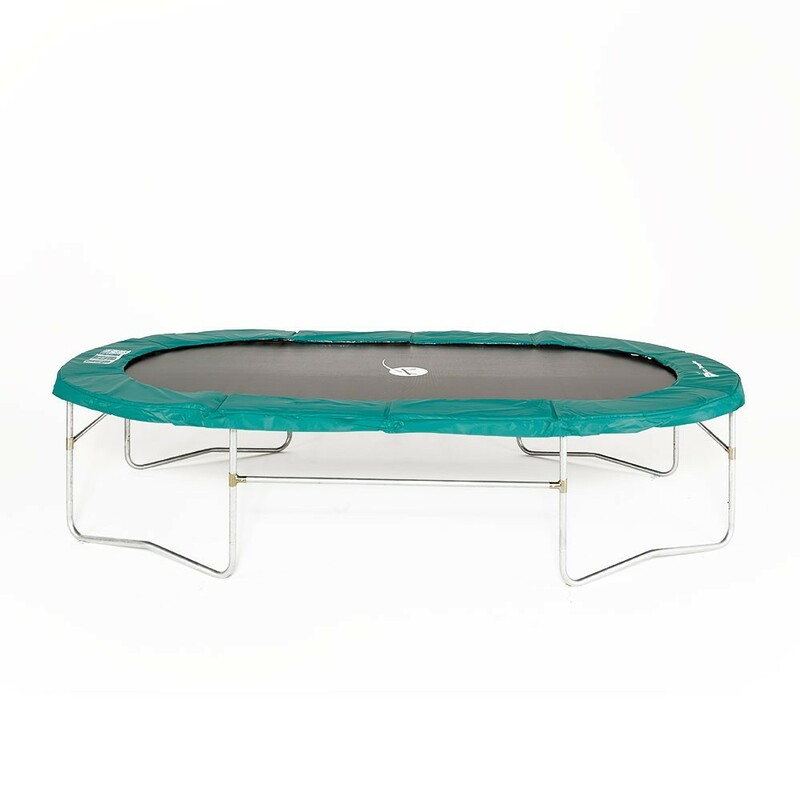 - The steel framework on the Ovalie 490 trampoline has been hot-dip galvanized: your trampoline can be used all year round as it is protected from rust. 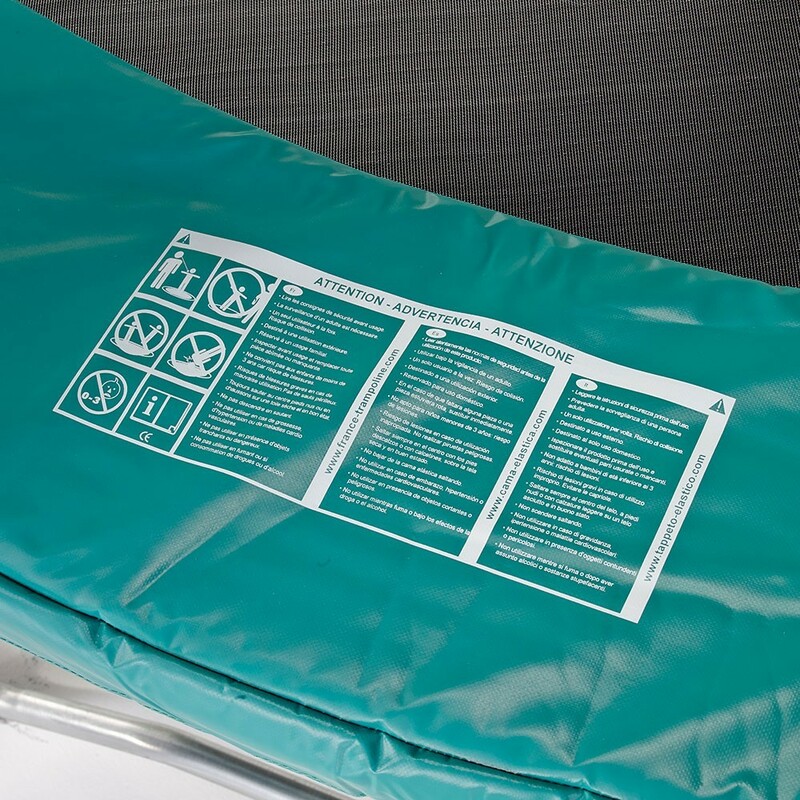 - The green frame pad is 25 mm thick, is made of a EPE monobloc foam and has a PVC cover which has been UV protected. 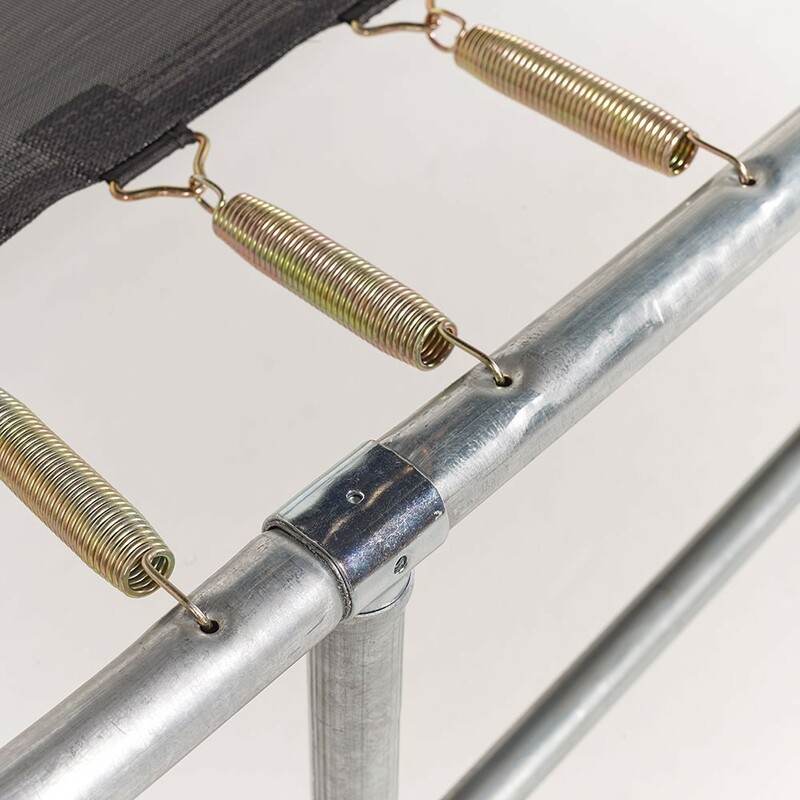 This frame pad covers the springs at the edge of the jumping pad which stops a child from falling onto the springs of the trampoline. 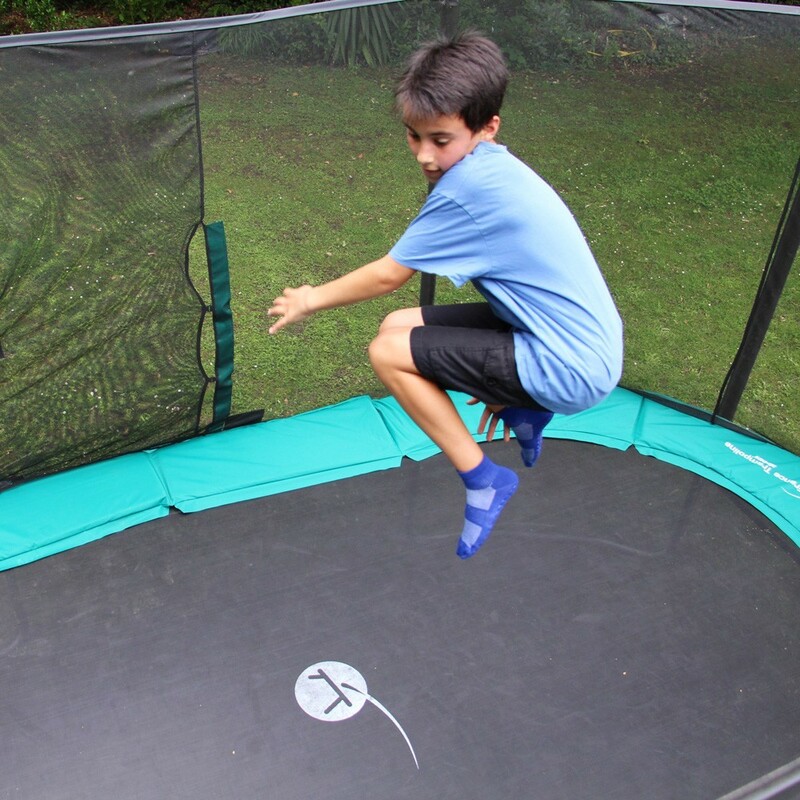 - The PREMIUM enclosure guarantees your family’s safety: the steel posts go down to the ground and have a 38 mm diameter, whereas most trampolines on the market use a 25 mm diameter. 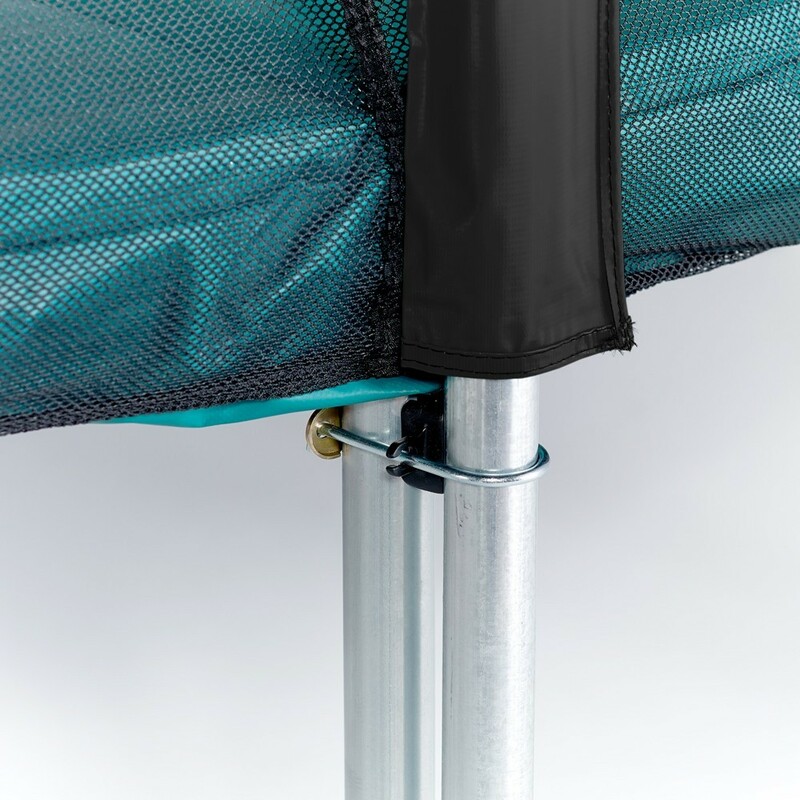 - The netting is made from resistant polyester of 180 g/m² in density and is held firmly and evenly in place using fibreglass rods. 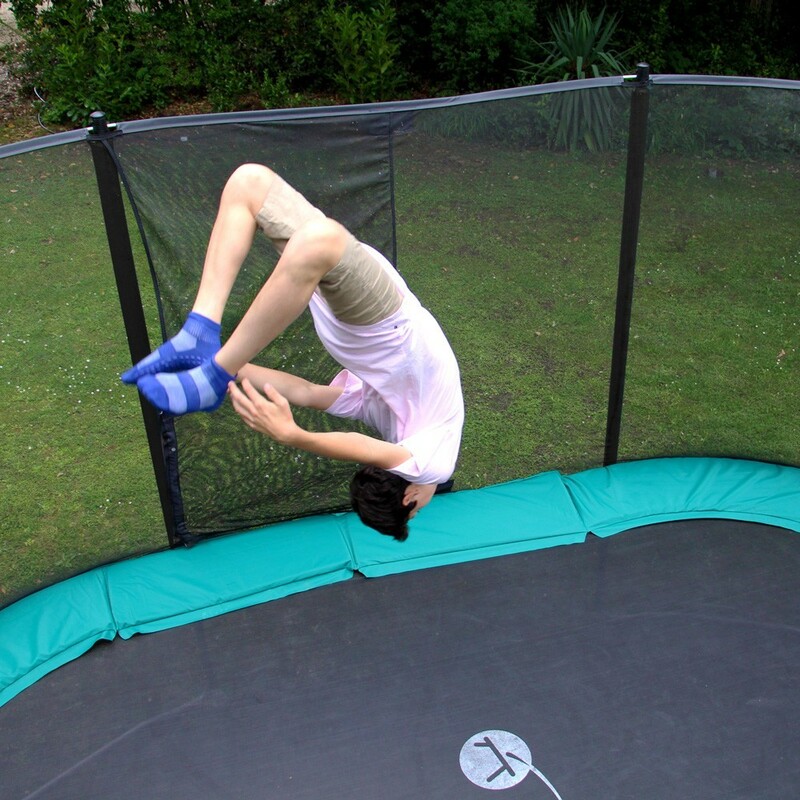 The enclosure, which falls between the frame pad and the outside of the framework, is fixed under the trampoline using clips. 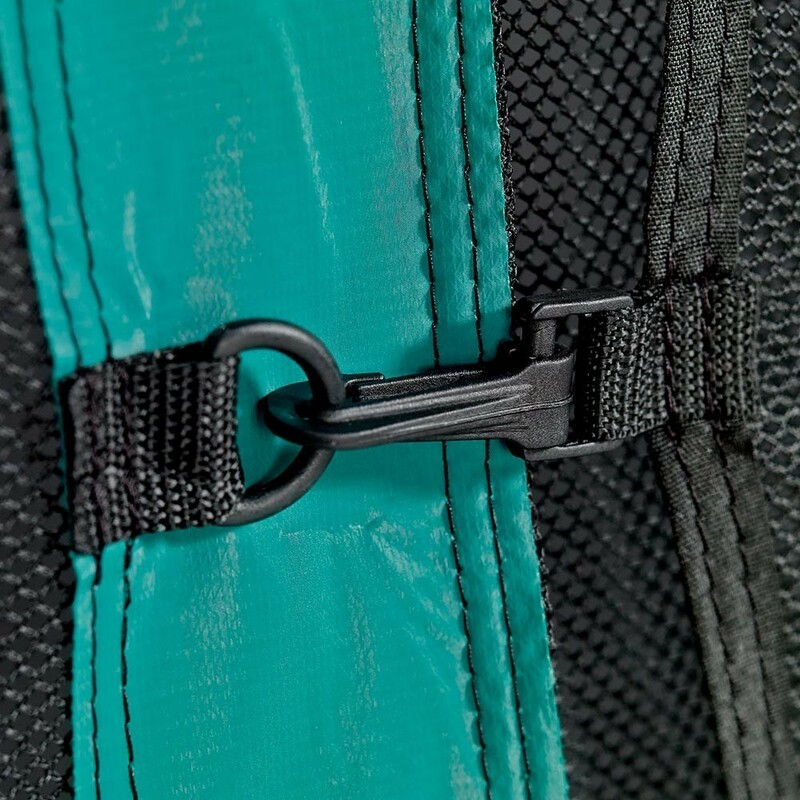 You will never be able to slip between the enclosure and the frame pad.